A find from my trip to Turkey: This beautiful little picture. 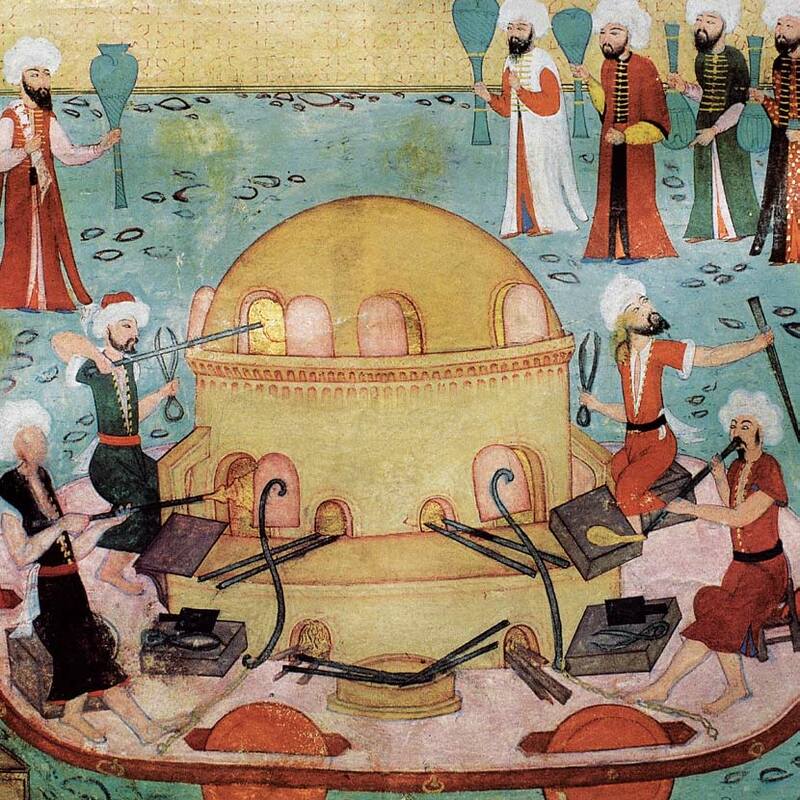 From a Paşabahçe catalog, this wonderful old miniature painting of glassblowers at work from the Tokapi museum. They are a contemporary glass company, with a lot of interesting designs. Here is a link to their catalogs of limited edition work. It’s nothing like my work, but I share it here anyway- maybe it will influence some of my own pieces soon!